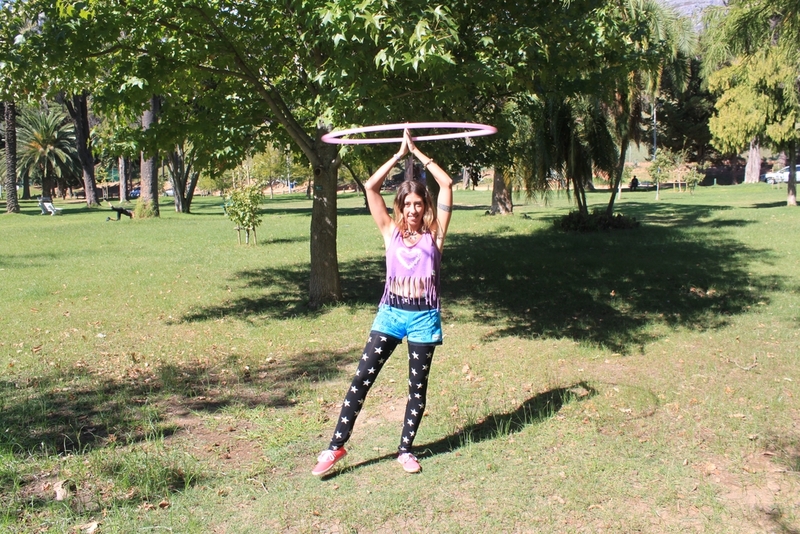 A hula hoop is not just for children, it is full of health benefits and really fun too! 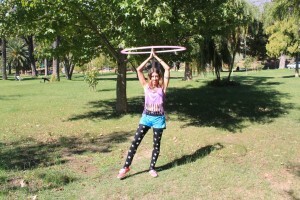 Hooping is a full body workout, and great way to exercise while having fun at the same time, in fact, it doesn’t even feel like exercise at all! We made a short appearance on Hectic Nine 9, a youth Magazine Show broadcast live daily on SABC2. 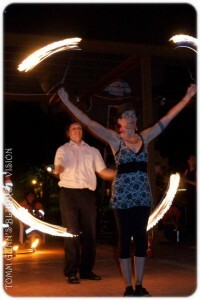 We were not able to do fire dancing in the studio, so did some LED hooping and Poi instead. 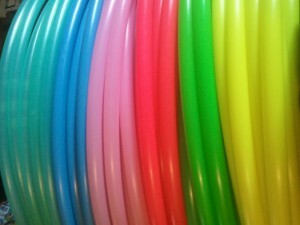 Are you trying to buy a polypro hoop in Cape Town and having little or no luck? Dont worry, we know where you can buy a polypro hoop, right here, from us! Polypro hoops are made of extremely light weight, strong and durable Polypropylene plastic, as opposed to HDPE (High-density polyethylene) plastic hoops, which are the heavier and larger adult and weighted hoops that we sell. 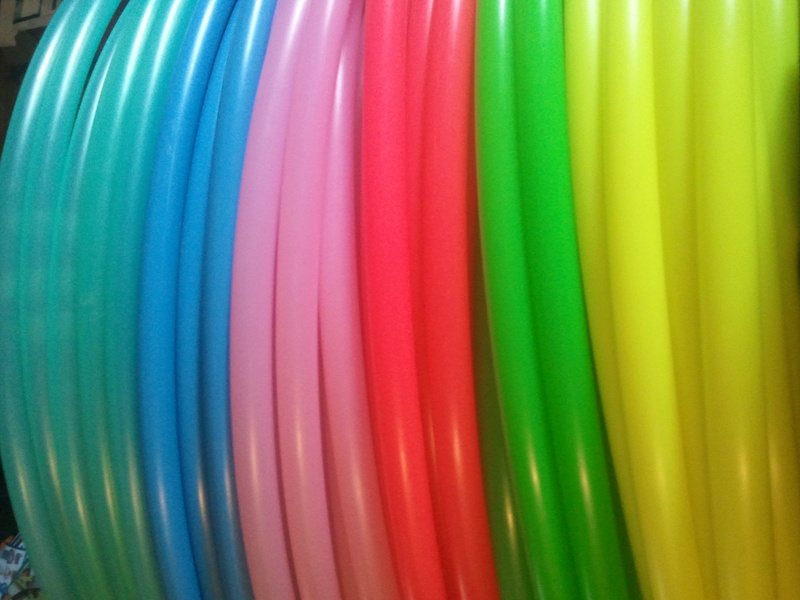 Polypro hula hoops are sleek, minimal, and lightning fast. These hoops feel different to normal adult hula hoops, in fact they are so light and fast you can barely feel them on your skin. If you are hooping for excercise, and are wanting to work your core muscles, you can go for the polypro for the ‘cardio’ version of your exercise due to the speed, or a weighted hoop as the ‘muscle building’ version of your workout. If you are into your hoop tricks and tech moves, some of the things that are easier with a polypro include a lot of off-body and moves done with your hands, like stalls and isolations. Your breaks, reversals, isopops and everything in between will gain a new level of excitement and speed. If you dance with mini hoops you will find the polypro version of your minis to be much easier on the finger and hands being lighter and faster than minis made with HDPE. OK enough now, where do I get one? Welcome to the first post of our new website where we will be uploading images, videos, information and everything to do with us and our performances. Fire poi is sometime refered to as fire juggling. If you are looking for Poi and Hula hoop performers in Cape Town, using fire or LED, look no further! We are available for bookings for your function in Cape Town and surrounds, please contact us to arrange a performance at your function.